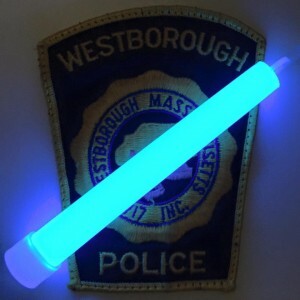 Free glow sticks at the Westborough Police Department. Just stop by 45 West Main Street and pick up a free glow stick for your child for Halloween. Please try to bring your child with you so they can meet a police officer! Have a safe Halloween. This is made possible through the Westborough Patrol Officers Union Local 439.